A traditional High Tea would have to be one of the most delicious ways to spend an afternoon. 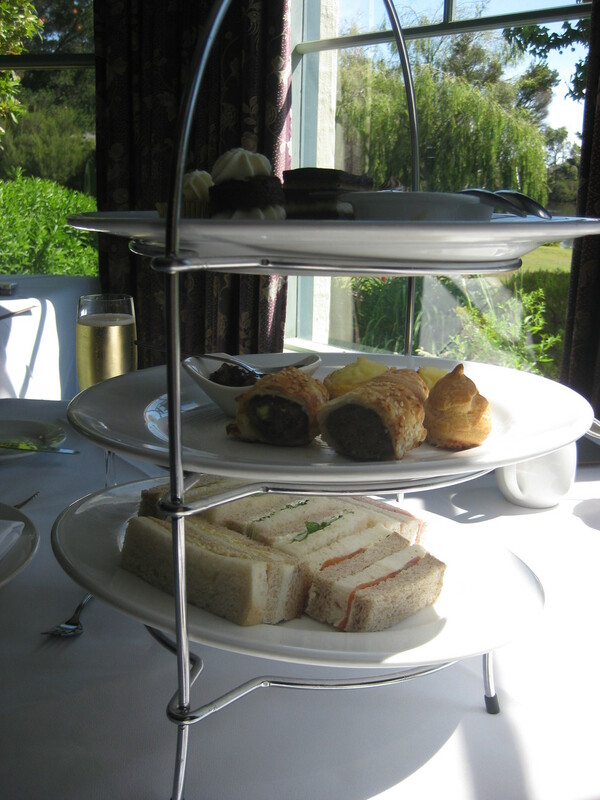 Ever since I first tried delicate finger sandwiches, fresh jam & cream scones and other sweet morsels I have been gradually ticking off the many High Tea experiences on offer in Melbourne. So far I have had the pleasure of trying the chocolate buffet at The Langham Melbourne, an endless dessert buffet at the Grand Hyatt and a fashion inspired High Tea at Hotel Nest complete with cakes in the form of Birkin bags and Chanel No 5. My most recent foray was a trip to Woodman Estate, just over an hour's drive from Melbourne. This classic country homestead did not disappoint. We started with a wander through the beautiful grounds of Woodman Estate before sitting down in the formal dining room with a classic 3-tiered cake stand filled with savoury and sweet treats. Lemon meringue tart, chai tea brulee, raspberry and vanilla cupcakes and petit eclair sat neatly alongside duck, port and pistachio sausage rolls and beef and red wine Shepard's pie. Accompanying this were the traditional poached chicken and mango and cucumber, watercress and sour cream finger sandwiches. Oh...and of course there was a glass of bubbles and delicious tea from T2. Once we had worked our way through our 3 tiered stand, we took a break for another stroll through the property to settle our stomachs and prepare for the finale of freshly baked scones, jam and cream. Light and fluffy, these would have made the CWA proud. A perfect afternoon shared with my best friend. A fitting way to remember and honour her beautiful mum.